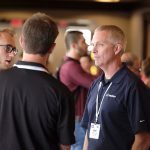 MCAA’s Career Development Initiative prepares the many talented members of MCAA’s student chapters for great futures in our industry, and helps MCAA members connect with these students for internships or full-time employment. One way it does this is through MCAA's GreatFutures website. Another way MCAA does this is through MCAA’s annual GreatFutures Forum, where students from our 50+ student chapters come together with scores of MCAA members for fun, a bit of industry education, and most of all for a chance to meet, network, and cement internship and employment opportunities. 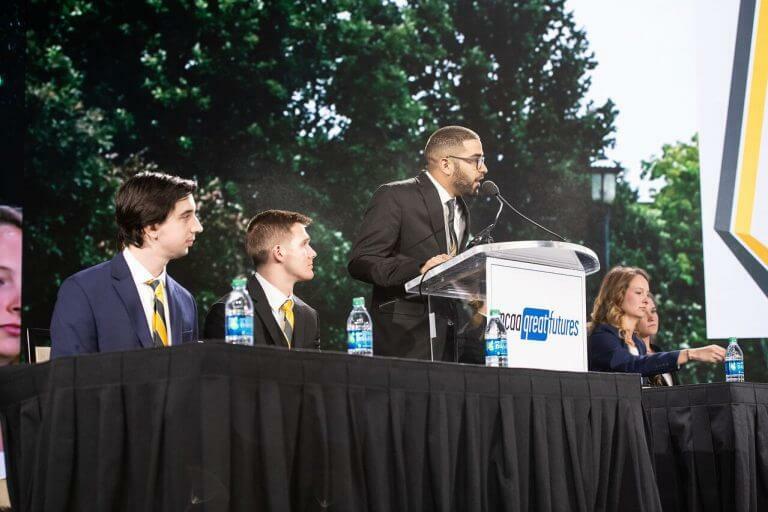 The annual Student Chapter Competition is a highlight of our convention. Take a look at the video for a glimpse of our industry's great future! 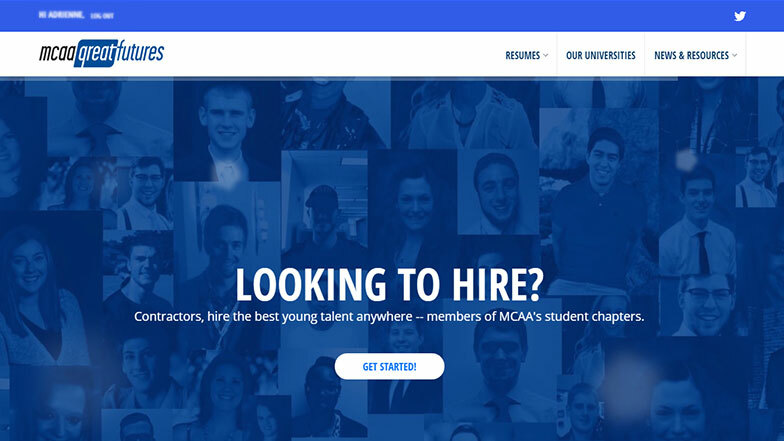 MCAA’s career-related website is committed to connecting our members with the best and brightest student who will comprise the industry’s future workforce. Students have uploaded profiles and resumes that are only accessibly by MCAA members. The profiles are searchable by University, desired location, and even a specific skill set an employer is looking for, like BIM or AutoCAD. A keyword filter allows you to zero in on those students who fit the bill. 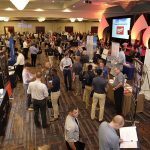 This annual event is the place to meet prospective interns or employees and see them in action. 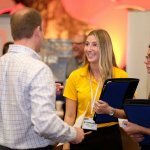 Stop by the Student Chapter Exhibit to meet potential interns and employees who are ready to interview. 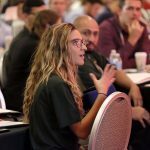 Get to know students as you participate in convention programs and activities. Plus, you won’t want to miss our annual Student Chapter Competition! Has your company hired a student intern? You’re encouraged to apply for this $1,000 grant. Did you hire two interns? Good news! You can apply for two grants. 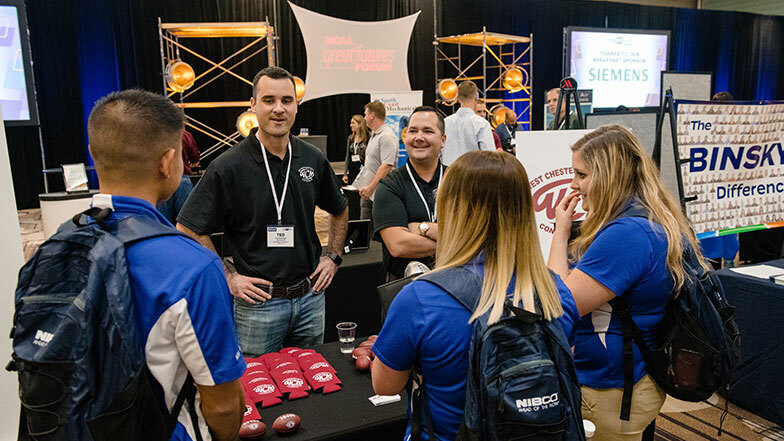 By working for member companies, students enhance their education, their professional experience and their interest in the mechanical contracting industry. New MCAA student chapters, and those that are rebuilding, are encouraged to apply for this $3,000 grant for up to three consecutive years. The funds help the winners with travel expenses, special projects, student scholarships or other costs. Well-established, thriving MCAA student chapters are invited to apply for this $7,500 grant, which provides $5,000 for student scholarships, plus $2,500 for operating expenses. The chapter’s faculty advisor selects the scholarship recipients based on a set of established criteria. Winning chapters use the operating funds toward special projects, travel to MCAA events and other program costs. MCAA student chapter faculty advisors who obtain a part-time position or internship with an MCAA member company are encouraged to apply for this grant. By acquiring practical experience in the industry, faculty advisors enhance their classroom instruction and their students’ interest in pursuing a career in our industry. Students put their classroom learning to the test as they create a bid for a real-life mechanical construction project. These projects might incorporate BIM, green requirements, mechanical service or new technologies, to name a few. 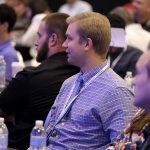 We provide the drawings, background information, specs and other details; the rest is up to them.Initial judging of the written bid packages yields the “final four” teams, who are invited to present their packages to a panel of judges and an audience of contractors at the MCAA Convention. Want to see a potential intern or new hire at work? This is a great way to see how they perform under pressure! The winner and other finalists are recognized during a special awards breakfast at the Convention. Six additional teams receive Certificates of Merit for their work. MCAA offers a variety of grants and scholarships to help offset expenses for the contractors who hire student interns, students and the faculty who teach them. These grants and scholarships are made possible thanks to the generous support of the Mechanical Contracting Education & Research Foundation. 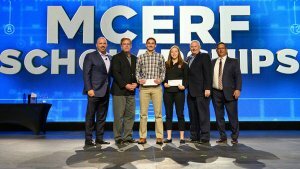 Caleb Kowalski, a junior at University of Nebraska - Lincoln, and Brooke Scott, a junior at Milwaukee School of Engineering took home The Alan O'Shea Memorial Scholarships sponsored by MCANJ. Watch for information about these scholarships as the Convention draws near. MCAA will be hosting its 3rd Annual Job Fair, where the sharpest MCAA Student Chapter members will be seeking full-time and internship opportunities. 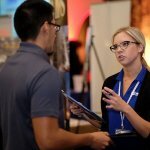 The Job Fair will be held at the Washington Marriott Wardman Park on Friday, September 20 from 8:30 a.m. – 11:00 a.m. Registration to attend and recruit at the Job Fair is complimentary for MCAA/MSCA members. 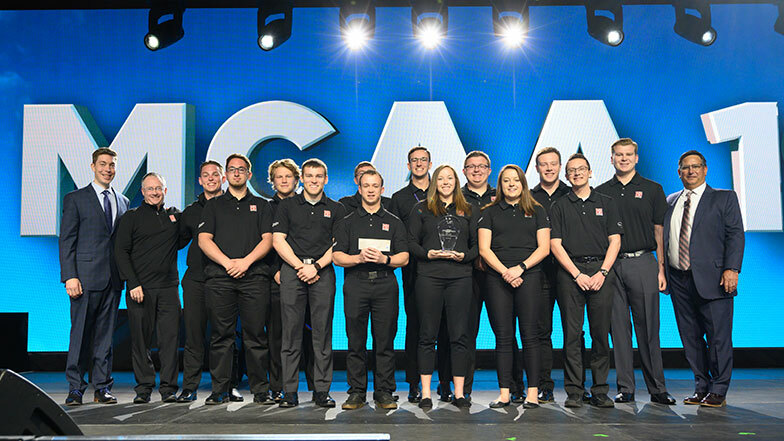 The MCAA19 Student Competition showcased future industry leaders’ insightful approaches to a real world contracting bid. The four finalists presented their plans to the on-stage judges and fielded a series of rigorous questions. Missed the competition or want a second view? Watch the competition video from start to finish.